I remember in the not so distant past when it was very difficult to find lowfat milk in Korea. These days, you can even get skim milk. 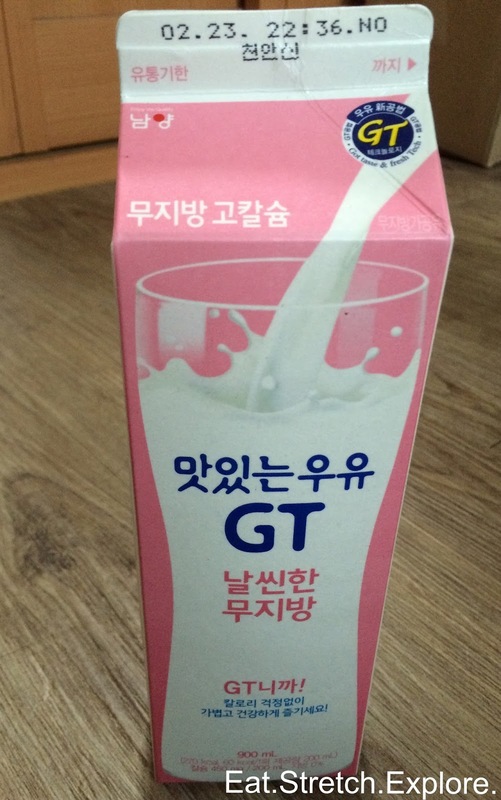 I thought I'd post this because there's not really any way to know this is skim milk if you don't read Korean. 무지방 milk is nonfat, skim milk. This is the Namyang brand milk, but I have seen it for other brands, too. 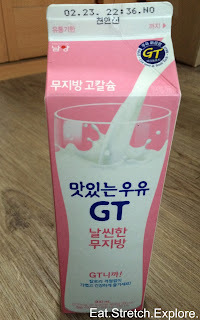 If you are searching just for low-fat milk, just look for cartons with 저지방 written on them. There should be a variety of varying percentages of low-fat milk available. On a side note, I had a conversation with a Korean friend the other day about how shocked we are at the price of milk in Korea. I never thought about it before, but it is kind of expensive here. This 900 mL carton of milk cost 2700 KRW, about $2.50. You can save a little money by buying a two-pack, but it's still around 5,000KRW. I bought this at my local market. I haven't seen skim milk in convenience stores, but maybe it's because I haven't really looked for it. Honestly, I am a little lactose intolerant, so I rarely check out the milk cases, which is maybe why the presence of skim milk is kind of news to me. Hi! I noted that a few years ago you made some itineraries for people who had long layovers in Seoul, and I was wondering if you would be able to help me with one as well?